The Vegan Mouse: Another beet/hummus sandwich! This was awesome. 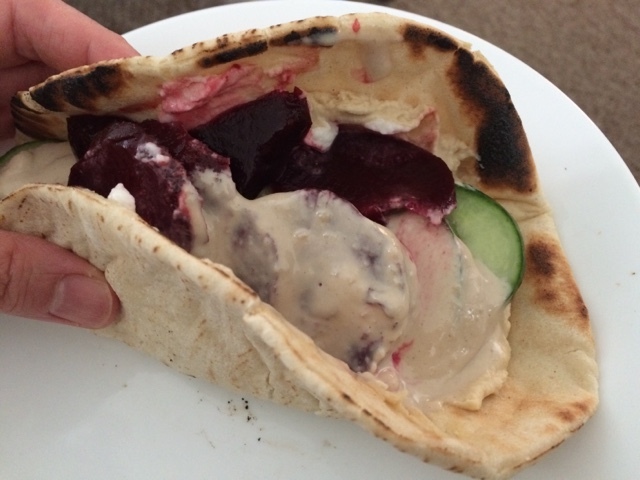 Warm pita topped with hummus, garlic spread, cucumber, beets, lemon juice and tahini. That looks amazing, and I don't even like beets! !